Russian warplanes and their Syrian government allies battered rebel-held areas in and around Aleppo on Saturday, and rebels and aid workers accused them of destroying one of the city’s main hospitals and killing at least two patients. 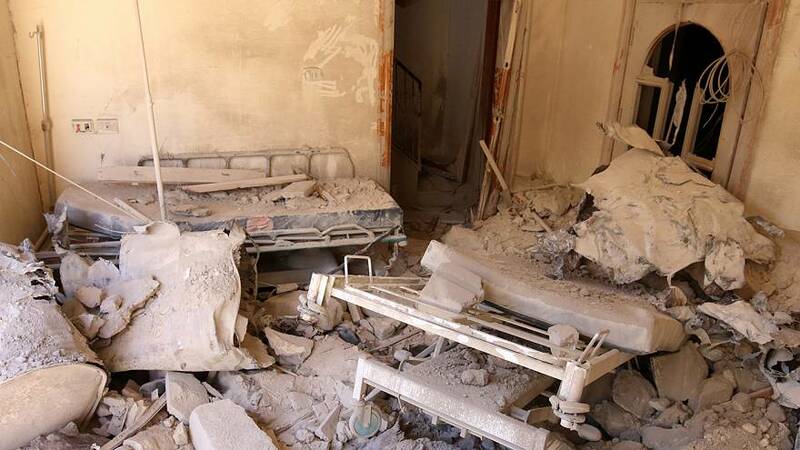 M10, the city’s main trauma hospital, in eastern Aleppo, was struck as the United States and its allies urged Russia, which is trying to crush resistance to Syrian President Bashar al-Assad, to halt the bombing and reach a diplomatic resolution. Saturday’s air strikes focused on major supply lines into rebel-held areas of Aleppo – the Castello Road and Malah district and around the Handarat camp. Fighting also raged in the city in the Suleiman al Halabi neighbourhood, the front line to the north of Aleppo’s Old City and in the residential Bustan al Basha quarter. The U.S envoy to the United Nations last week called Russia’s actions in Syria “barbarism,” not counter-terrorism.